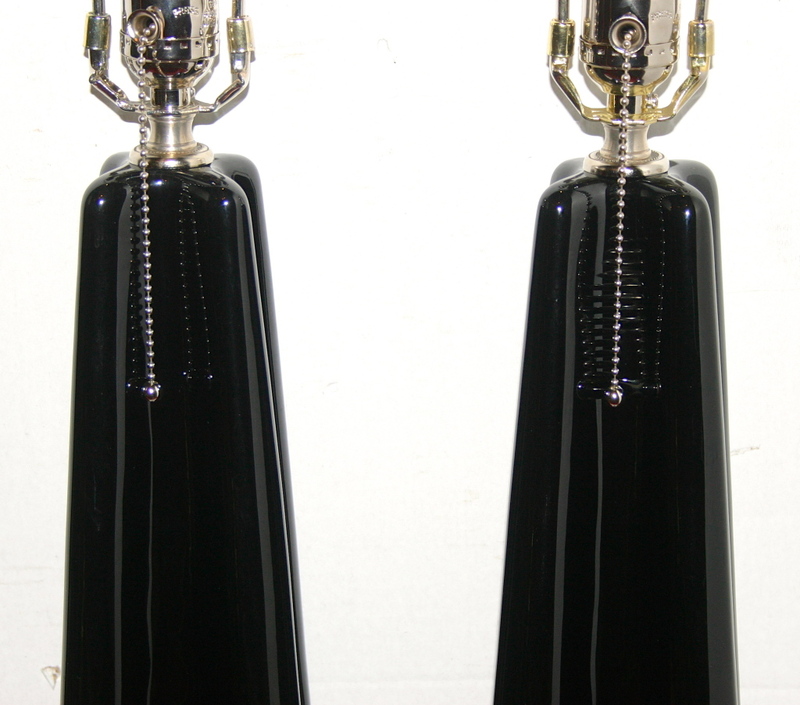 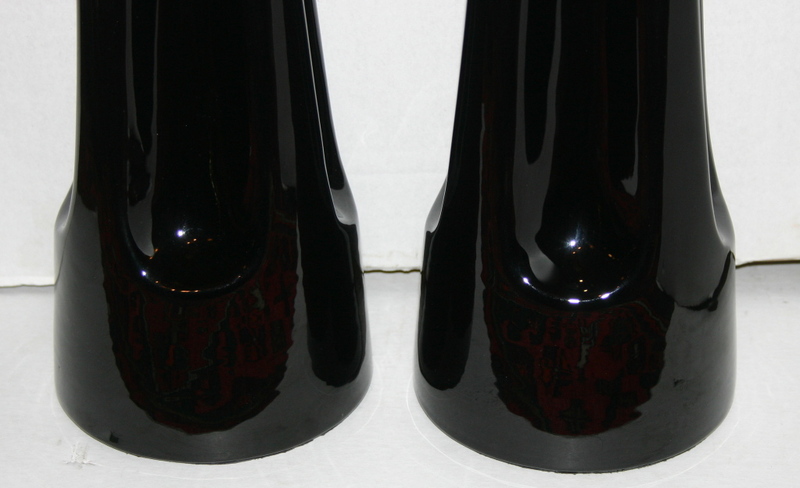 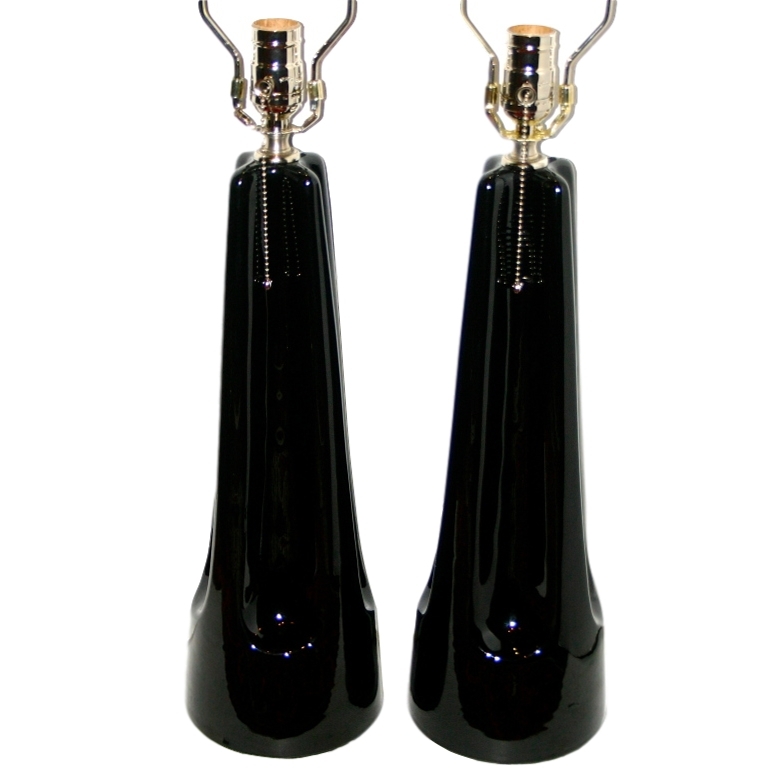 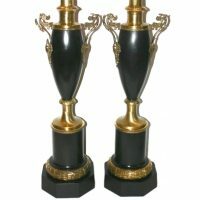 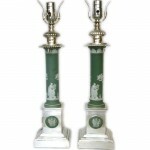 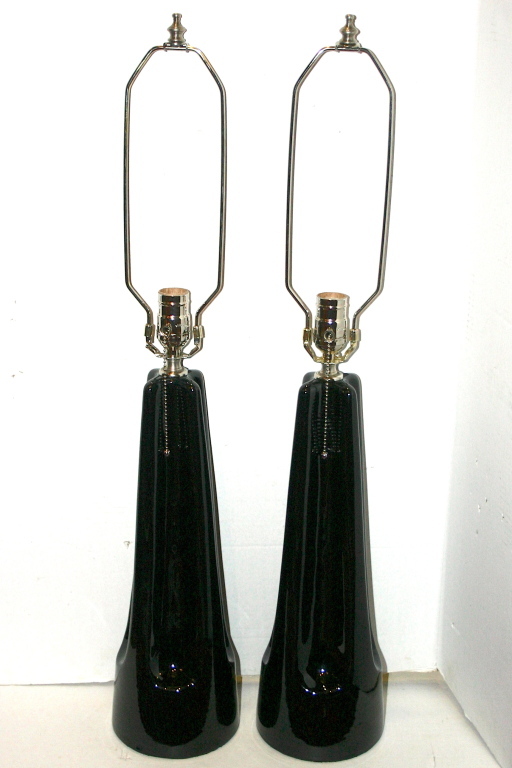 A pair of circa 1950’s Italian black porcelain table lamps with scalloped details on fluted column body. 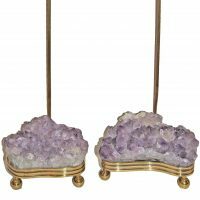 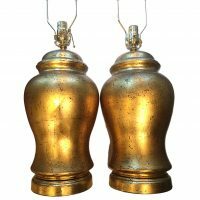 Pair of 1940's French ginger jar shaped gilt metal table lamps. 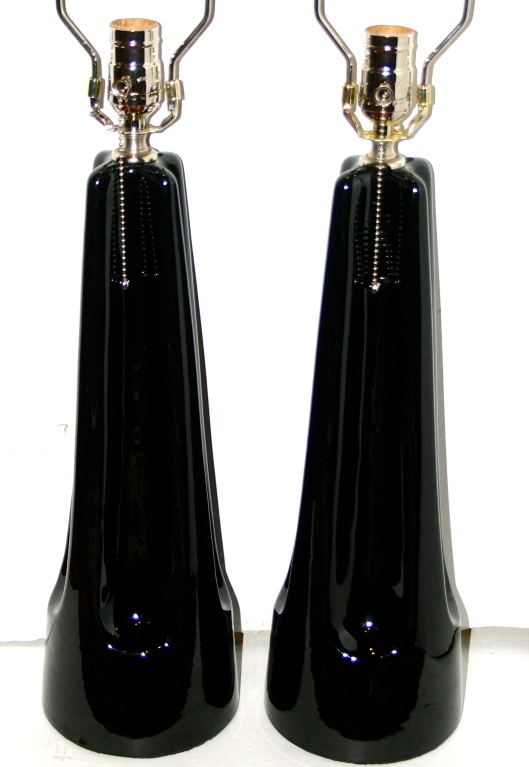 Measurements: Height of Body: 16.5"